WASHINGTON, D.C. - The Internal Revenue Service has released the annual inflation adjustments for 2013, including the tax rate schedules and other tax changes from the recently enacted fiscal cliff legislation with its new tax rate of 39.6 percent and permanently patched Alternative Minimum Tax. Revenue Procedure 2013-15 provides the 2013 cost-of-living adjustments for inflation for certain items, including the tax tables. It also includes items whose values were specified in the American Taxpayer Relief Act of 2012 (ATRA), such as the beginning of the 39.6 percent income tax brackets; the beginning income levels for the limitation on certain itemized deductions, and the beginning income levels for the phaseout of the personal exemptions. In addition Rev. Proc. 2013-5 modifies Rev. Proc. 2011-52 to reflect an amendment to Section 132(f)(2) made by ATRA concerning qualified transportation fringe benefits. Specifically, for 2012, the monthly limitation regarding the aggregate fringe benefit exclusion amount for transit passes and transportation in a commuter highway vehicle is $240. Beginning in tax year 2013 (generally for tax returns filed in 2014), a new tax rate of 39.6 percent has been added for individuals whose income exceeds $400,000 ($450,000 for married taxpayers filing a joint return). The other marginal rates—10, 15, 25, 28, 33 and 35 percent—remain the same as in prior years. The guidance contains the taxable income thresholds for each of the marginal rates. 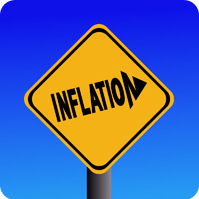 Details on the inflation adjustments and others are contained in Revenue Procedure 2013-15, which will be published in Internal Revenue Bulletin 2013-5 on Jan.28, 2013. Other inflation-adjusted items were published in October 2012 in Revenue Procedure 2012-41.